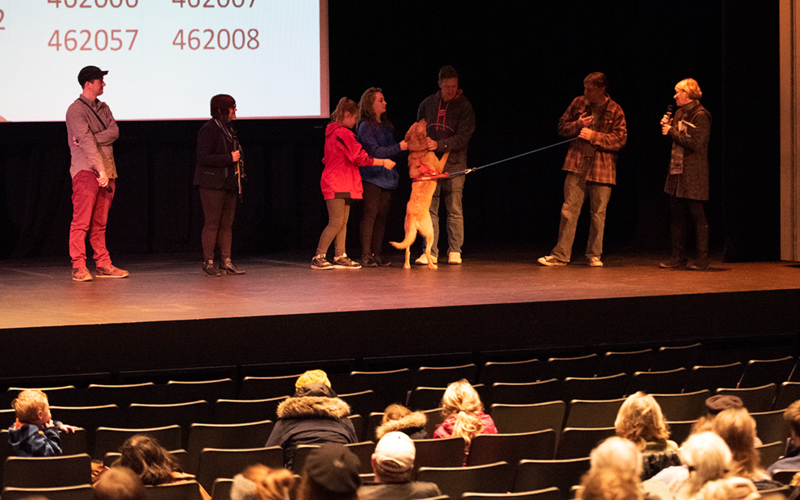 Director Laurie Little and cinematographer Justin Jones share the stage with mushers and guest sled dog in one of the featured events at the 2018 festival. 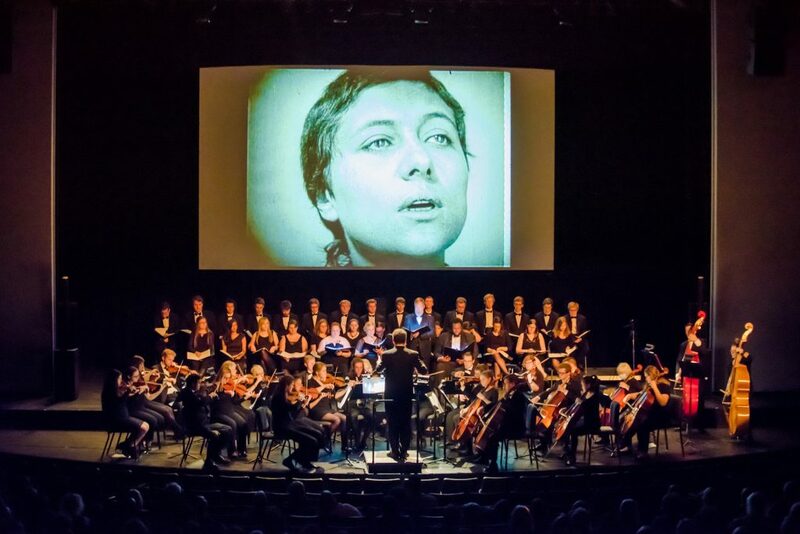 The Keweenaw Symphony Orchestra and Michigan Tech ConScience Chamber Singers perform Voices of Light / The Passion of Joan of Arc at the 2017 festival. 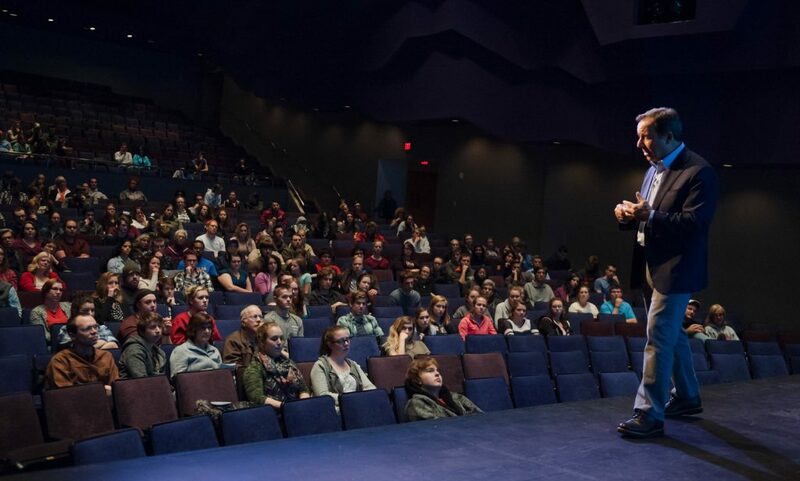 Ron Suskind takes questions from the audience following Life, Animated in 2016. 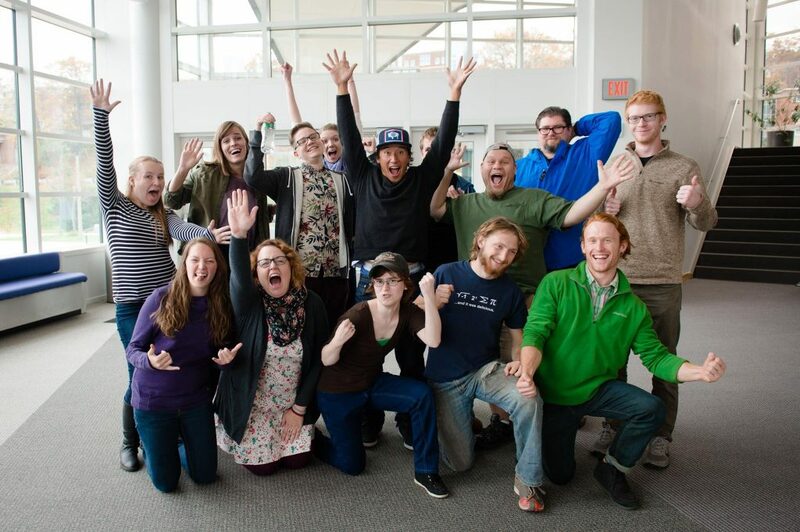 Jimmy Chin (Meru) with Michigan Tech students in 2015. 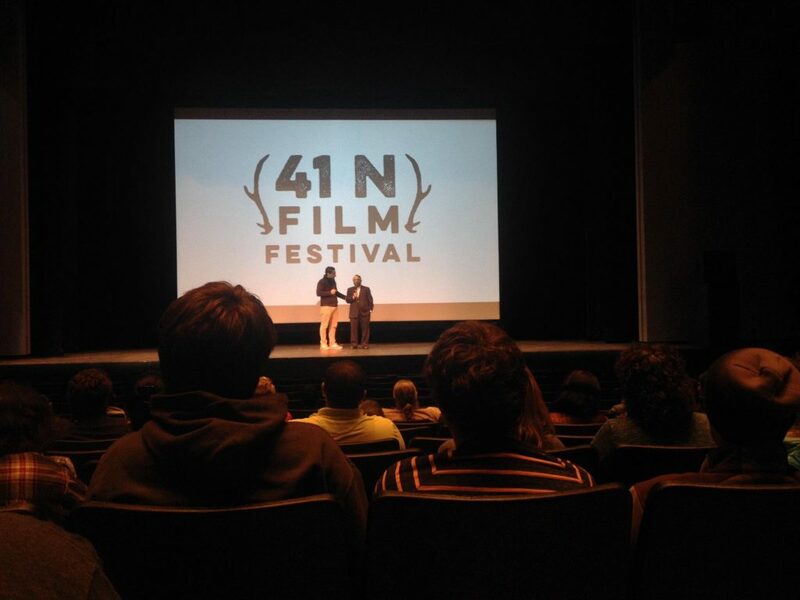 Ravi Patel and his father, Michigan Tech alum Vasant Patel, with Meet the Patels in 2014.